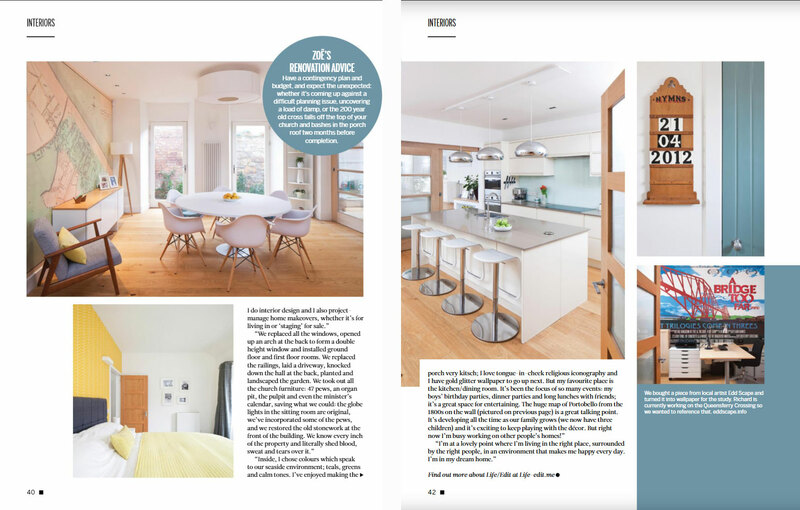 I was thrilled recently when i-on Magazine approached me to write a feature on my interior design work. The article focussed on my own home: a church which myself and my husband bought and made into our family home. This process really honed my love for interior design as I did all of it myself in our converted church. I like quirky touches which you can see in the article (Jesus wallpaper isn’t everyone’s taste!) but when it comes to working with my clients, my priority is listening to them, working out how they live in their space and making it work for them. It’s not about my taste, it’s about helping them to find theirs.